After a successful and productive opening day of training camp in West Virginia, the New Orleans Saints were back at it again over the weekend with a pair of morning workouts on Saturday and Sunday. In addition to an hour-long afternoon walk-thru, the Saints took to the practice fields for a near three-hour session on both Saturday and Sunday morning, stretching and warming up before breaking off into team drills. The team was greeted yet again by more lovely weather on each day, though some light drizzle began to fall by the end of Sunday's session. Here is a look at some notes that have emerged from the Greenbrier over the last two days: Mark Ingram and his teammates were back at work in training camp over the weekend. - Tim Lelito continued to work with the first team offense at center, while Jonathan Goodwin worked with the 2's. - Robert Meachem and Brandin Cooks both got in work with the 1's on offense, while undrafted rookie Brandon Coleman was sprinkled in with the 2's. - Running backs Khiry Robinson and Mark Ingram rotated in with the 1's while Pierre Thomas worked with the 2's. - Cooks, Travaris Cadet, Andy Tanner, Charles Hawkins Pierre Thomas and Derrick Strozier all took turns fielding kickoffs. - Drew Brees was surgical in 7-on-7's, connecting with Jimmy Graham on three of his five attempts during the drill. Brees was able to fit most of his throws into tight windows. - Cooks once again showcased his gamebreaking potential Saturday, making a number of dazzling plays which drew the ire of defensive coordinator Rob Ryan, who challenged his players to pick things up. 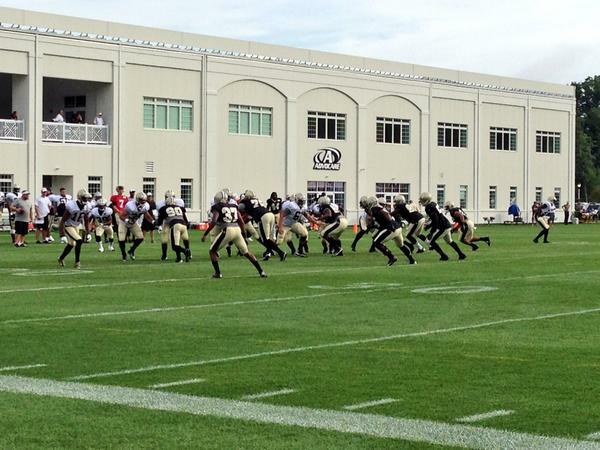 - WR Nick Toon continued to shine, hauling in a long touchdown from Brees in passing drills. 2nd year tight end Josh Hill also made an acrobatic catch and continued to show improvement as he enters his sophomore season. - Undrafted rookies Seantavius Jones and Nic Jacobs made impressive catches in 7-on-7's with the third-team offense. - Patrick Robinson continued to work with the 1's on defense, and continued to make the most of his opportunity by making some impressive plays in 1-on-1 drills. - Champ Bailey continued to work as a starter opposite Keenan Lewis, while Parys Haralson also got some reps with the 1's. - Junior Galette was the most impressive defensive player in practice Saturday, busting through the line to break up a designed reverse to Robert Meachem. - Rookie Stanley Jean-Baptiste stood out while working with the 2's, using his size to frustrate receivers off the line. - Rookie Ronald Powell made the play of the day, leaping in the air to grab a one-handed interception. - An interesting wrinkle on defense saw Corey White take reps as a safety with both the 1's and 2's. White played the deep single high role that Jairus Byrd will man during the season, while Kenny Vaccaro lined up as a nickelback. Just another twist to give added flexibility to Ryan's coverages. - Vaccaro was often seen shouting at and complementing his teammates throughout practice. The 2nd year safety, now healthy after a late-season ankle injury, is emerging as a young leader. Kenny Vaccaro is looking to assume a leadership role in training camp. - Sunday was the team's first padded workout of the offseason, much to the delight of the players who are getting eager to start making contact and hitting. - Lelito continued to operate at center with the 1's, though Goodwin eventually got some reps there for the first time in camp, taking snaps during 11-on-11 drills. - The offense placed an emphasis on protecting the ball as the defense practiced stripping it loose. - Joe Morgan took advantage of his opportunity to work with the 1's by showing that his 2013 knee injury is behind him as he stretched the field with ease. - Morgan, Cooks, Andy Tanner and Charles Hawkins all took turns fielding punts. - Cooks had yet another good session on Sunday, beating a jam off the line from Patrick Robinson and racing downfield to make a big play off a long throw from Drew Brees. - Both Mark Ingram and Khiry Robinson had nice gains off left tackle behind Terron Armstead during team drills. - Pierre Thomas took reps with the 1's for the first time during camp. He has worked mostly with the 2's, though it is likely just an attempt to get the likes of Robinson and Ingram some extra work with the first team. - Nick Toon continued to seperate from the pack as one of camp's most impressive performers, beating Rafael Bush off the line for a long reception in 1-on-1 drills. - Luke McCown worked as the second-team quarterback while Ryan Griffin took reps with the 3's. McCown put in a nice work day Sunday, hitting Brandon Coleman deep for a big play. - A familiar combination produced a nice play Sunday, as Drew Brees, who went a flawless 5-5 in 7-on-7 drills, found Marques Colston on a beautiful back shoulder fade for a touchdown. - As for the defense, it was a much improved workout on Sunday. Ryan was most pleased with his defensive line, which was unblockable at times. - The dline provided consistent pass rush, beating their blocks at the point of attack, while the linebackers and defensive backs batted down a number of balls in team drills. - Junior Galette stood out once again, as did Akiem Hicks, another player the saints are expecting big things from in 2014. - Linebacker Ramon Humber made the play of the day, tipping a McCown pass up in the air and plucking it down for an interception. - Derek Dimke and Shayne Graham were once again a perfect 3-3 on their field goal attempts. This will be one of the more intriguing camp battles to watch unfold and may come down to how the pair perform during the forthcoming preseason games. Akiem Hicks and his defensive line teammates are having themselves a strong training camp. Kenny Stills remained off to the side after aggravating a thigh injury during Friday morning's workout. The second year receiver rode a stationary bike on the sidelines. Meanwhile, Jairus Byrd and John Jenkins remain on the active/PUP list as they finalize their recoveries from offseason surgery. Both players are expected back at some point before the team breaks camp in mid-August and returns to New Orleans. Rookie offensive lineman Tavon Rooks remained out, running off to the side with trainers alongside Byrd and Jenkins. While he took part in Saturday's workout, Robert Meachem sat out Sunday morning's practice due to a tight back. Coach Sean Payton said the veteran receiver will be fine and was rested to avoid any further complications. In addition, guard Ben Grubbs was also the recipient of some "veteran rest" according to Payton. Joe Morgan took Meachem's place with the 1's, while Senio Kelemete took the place of Grubbs. As for players on the mend, Payton likes what he has seen as Patrick Robinson continues to prove he is over his 2013 knee injury. Many players expressed their delight at the productivity that has taken place throughout the first three days of training camp. Speaking to the media after their workouts, multiple players stated a desire to take advantage of the nice weather in West Virginia, and use it as a chance to focus on the intricate pieces of the game of Football. Quite the welcome change of pace as opposed to sweating under the south Louisiana sun as they have grown accustomed to during training camp. Players also expressed their joy at being able to put on the pads for the first time during training camp on Sunday morning. While the pads come on and the competition heats up, players like Mark Ingram are focused on solidifying their roles on the team. Ingram, who saw the Saints decline to pick up his 5th year option for next season, knows that 2014 is shaping up to be an important year for him. 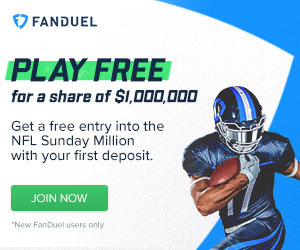 “I'm coming into a contract year... every year is a big year, but there's a special emphasis on this year," the former Heisman trophy winner stated. "It’s important to come out, have a great camp, and get off to a fast start. I just want to come out here, get better every day, stay healthy, and have a big year. I wouldn’t say it’s pressure. I’m just going to go out there and do what I do: play football, do what I’ve been doing my whole life, be the best I can be, and everything else will handle itself.” Mark Ingram knows he has much at stake in 2014. Payton sung Ingram's praises, and knows all of his backs will have a role to play as the team looks to put further emphasis on establishing the run in 2014. Ingram rushed for 386 yards on 78 attempts with 1 touchdown in 2013, although he saved his best for late in the year. After overcoming a bothersome toe injury, Ingram excelled late in the season as the Saints charged towards the playoffs, including an 18 carry, 97 yard performance with a score against the Philadelphia Eagles in the wildcard round. Meanwhile, Drew Brees continues to enjoy himself, and is up to his usual tricks in camp hitting nearly every target right on the money. Brees, 35, recently said he would like to consider playing into his 40s, and stated this week that he feels like he is 25. That "35 is the new 25" viewpoint is perfectly fine with Payton. At this point, the Saints probably hope Drew Brees plays until he is 50! Coming off a year in which he threw for over 5,000 yards for the third straight year in addition to 39 touchdowns with a 104.7 passer rating, the Saints will gladly stand by and benefit as Brees continues to age like a fine bottle of wine. That's a wrap for this weekend. We will be sure to bring you further updates and analysis as the Saints continue to progress throughout training camp this summer.